This bibliography features interracial literature for children and young adults. The intent is not to be comprehensive but rather to highlight. 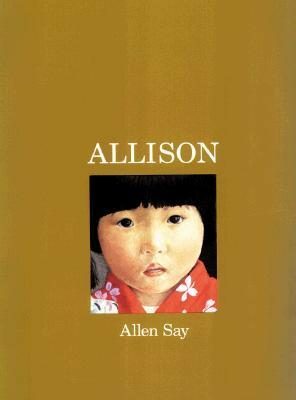 ALLISON by Allen Say (Houghton Mifflin, 1997). When she tries on her kimono, Allison realizes that she looks more like Mei Mei, the doll she’s always had, than she does either of her parents. She breaks some of her parents’ things, and she says she doesn’t belong to them. But by befriending a stray cat, Allison subtly comes to find there are many ways to create a family. A story linked to international adoption. Ages 4-up. THE AUNT IN OUR HOUSE by Angela Johnson, illustrated by David Soman (Orchard, 1996). I wonder what it is that makes the apparently white aunt so thoughtful as she joins the household of her brother, his African-American wife, and their children. Something in the art and text suggests that this is something of a refuge for her, or perhaps I’m reading it wrong. But it’s clear that “our house” is not the problem. The aunt loves the children and their parents and, of course, the safe house. One of those rare books that shows a family that just happens to be bi-racial rather than having that theme central to the story (there is a need for both, but this type is less common). Ages 4-up. 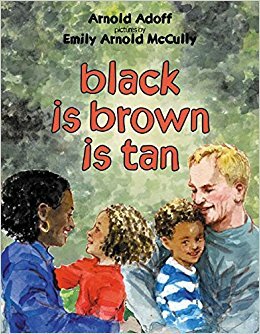 BLACK IS BROWN IS TAN by Arnold Adoff, illustrated by Emily McCully (HarperCollins, 1973). A slice of life illustrated poem that will especially appeal to very young children, featuring a family of two children with a white father and African American mother. The tone is joyful, loving, a celebration of hue and family. A good introductory book to mixed-race family themes. Ages 3-up. A new edition of this title is available from Harper with “updated” (more contemporary) illustrations. BON ODORI DANCER by Karen Kawaamoto McCoy, illustrated by Carolina Yao (Polychrome, 1998). Keiko wants to perform traditional Japanese dances at the Obon festival, but she’s just not naturally graceful. A friendship story with stylized art, notably including both black and brown haired Japanese American children. Ages 4-up. 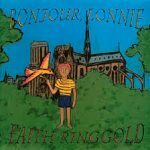 BONJOUR, LONNIE by Faith Ringgold (Hyperion, 1996). In this time travel story, Love Bird takes Lonnie back in time to Paris to meet his black grandfather and white grandmother, who are then met by Lonnie’s parents. His father was killed in World War II, and his Jewish mom sent him away for safekeeping while she was taken by the Nazis. Love Bird then returns Lonnie to his new home. Excellent introduction to the Harlem Renaissance. Ages 5-up. BROWN LIKE ME by Noelle Lamperti (New Victoria Publishers, 1999). A simple, charming text, illustrated in photographs guides young readers through this concept book reflecting an African-American child adopted by a white family. Child’s point of view with forward by Dr. Jacqueline Wallen, Associate Professor, Department of Family Studies, University of Maryland, College Park, whose own children are brown and adopted. Ages 2-up. DUMPLING SOUP by Jama Kim Rattigan, illustrated by Lillian Hsu-Flanders (Little, Brown, 1992). Marisa enjoys preparing dumplings with her Chinese, Japanese, Korean, haole (white) family in celebration of the New Year. Set in Hawaii. Ages 4-up. 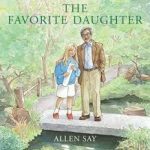 THE FAVORITE DAUGHTER by Allen Say (Arthur A. Levine, 2013). Yuriko hates her name when the children make fun of it and call her “Eureka!” The teasing makes her want to hide, to retreat even from the art projects she used to love. Fortunately, she has a patient, kind father who finds gentle ways of drawing her out and reminding Yuriko of the traditions they share that have always brought her joy: walks in lovely Golden Gate Park, lunch at their favorite sushi restaurant, watching the fog blow in off the bay. It’s enough… it’s more than enough to face down her challenges with confidence. Ages 5-8. Compiled from promotional materials. GRACIAS/THANKS by Pat Mora, illustrated by John Parra (Lee & Low, 2009). In a series of poetic sentences, a young boy tells about some of the everyday things for which he is thankful. Come share the joy, and think about all the things for which you can say, ¡Gracias! Thanks! Ages 3-8. More on this author from Cynsations. GRANDFATHER COUNTS by Andrea Cheng and illustrated by Ange Zhang (Lee & Low, 2000). When Gong Gong (grandfather) first comes to live with Helen, she feels distanced by his inability to speak English and her inability to speak Chinese. Then, watching a train together, they begin to teach each other how to count the cars, Helen in English and Gong Gong in Chinese. A realistic, warm book that is not overly sentimental. Ages 4-up. 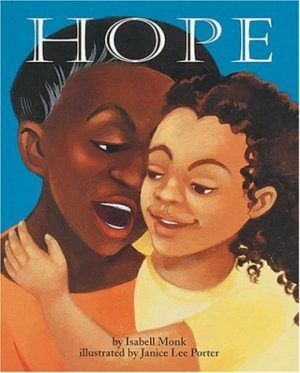 HOPE by Isabell Monk, illustrated by Janice Lee Porter (Lerner, 1998). When Miss Violet asks (in that way) Aunt Poogee whether Hope is “mixed,” Hope can’t get it out of her mind. Thankfully, Aunt Poogee knows just what to do. She tells Hope the story of her father’s immigrant family whose descendants taught others that people should be free and of her mother’s once enslaved ancestors whose descendants fight the battle for civil rights. The highlight is the family wedding, a joyful depiction of both celebrating sides. And now, Hope. This reassuring book provides an platform for talking to interracial children about their heritage as well as the battles it took to provide a better world for them. Ages 5-up. HOW MY PARENTS LEARNED TO EAT by Ina R. Friedman, illustrated by Allen Say (Houghton Miffln, 1984). A tale of a young man from American and a young lady from Japan who appreciate and learn each other’s customs as a show of love and respect, told as a flashback from the point of view of the girl who is their daughter. Charming and romantic in an age-appropriate way. Emphasize to children that the story is historic, not contemporary. Ages 4-up. 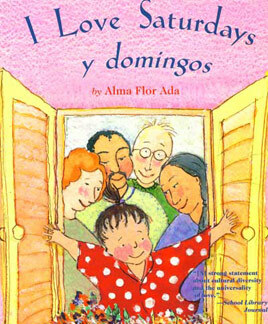 I LOVE SATURDAYS Y DOMINGOS by Alma Flor Ada, illustrated by Elivia Savadier (Atheneum, 2002). A colorful, ethusiastic look at a young girl’s alternating Saturdays with her white grandparents and her Mexican-American grandparents (a nod also is given to Native heritage). Includes Spanish language. Ages 4-up. JALAPENO BAGELS by Natasha Wing, illustrated by Robert Casilla (Atheneum, 1996). Pablo wants to pick something from his parents’ bakery to share with his classmates on International Day. Includes a brief Spanish/Yiddish glossary and recipes. Ages 4-up. JINGLE DANCER by Cynthia Leitich Smith, illustrated by Cornelius Van Wright and Ying-Hwa Hu (Morrow, 2000). Jenna, a Muscogee (Creek) girl, is enthusiastic about wanting to jingle dance at the upcoming powwow. With time running short, she seeks the assistance of women of her contemporary intertribal community in bringing together the remainder of her regalia. A story of reciprocity and respect. Ages 4-up. CYN NOTE: Native identity is based on tribal citizenship; however, there is diversity within Native Nations. JOURNEY HOME by Lawrence McKay, Jr., illustrated by Dom & Keunhee Lee (Lee & Low, 1998). Mai accompanies her mother on a journey from the U.S. to Vietnam to search for her mother’s birth family. Their only clue is the kite Mai’s mother has had since she first came to the U.S. and was adopted by a white family. A gentle, thoughtful story that explores the linking of worlds, loss and rediscovery, as well as the many definitions of family. Ages 5-up. 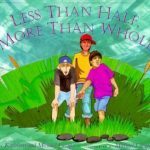 LESS THAN HALF, MORE THAN WHOLE by Kathleen Lacapa and Michael Lacapa, who also is the illustrator (Northland, 1994). When Will calls Tony “only half, or less than half Indian,” Tony tries to figure out what that means. With TaTda’s (Grandfather’s) help, Tony realizes that, like the Creator’s gift of multicolored corn, he is whole. Ages 5-up. CYN NOTE: Native identity is based on tribal citizenship; however, there is diversity within Native Nations. LILIANA’S GRANDMOTHERS by Leyla Torres (FSG, 1998). A look at Liliana’s loving relationship with her white American grandmother, Mima, who lives in Liliana’s home town and her grandmother Mama Gabina, who lives in a Spanish-speaking country. Ages 4-up. A MAN CALLED RAVEN by Richard Van Camp, illustrated by George Littlechild (Children’s Book Press, 1997). A mysterious man confronts two Dogrib brothers, Chris and Toby Greyeyes, about their abusing a raven with hockey sticks. A skillful blend of cultural tradition and contemporary backdrop. Like Littlechild’s first picture book, THIS LAND IS MY LAND, here A MAN CALLED RAVEN is proudly rendered, with a mastery of color, of line, and shape. Ages 5-up. CYN NOTE: Native identity is based on tribal citizenship; however, there is diversity within Native Nations. MARISOL MCDONALD DOESN’T MATCH/MARISOL MCDONALD NO COMBINA by Monica Brown, illustrated by Sara Palacios (Children’s Book Press, 2011). Marisol McDonald has flaming red hair and brown skin. Polka dots and stripes are her favorite combination. She prefers peanut butter and jelly burritos in her lunch box. To Marisol, these seemingly mismatched things make perfect sense together. Other people wrinkle their nose in confusion at Marisol—can’t she just choose one or the other? 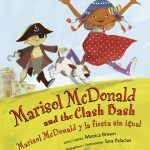 Try as she might, in a world where everyone tries to put this biracial, Peruvian-Scottish-American girl into a box, Marisol McDonald doesn’t match. And that’s just fine with her. Ages 4-8 years. More on this title from Cynsations. Compiled from promotional materials. Look for more books in the series. MOLLY BANNAKY by Alice McGill, illustrated by Chris K. Soentpiet (Houghton Mifflin, 1999). Molly, then 17, was exiled from England to Colonial America on a charge of stealing because she’d spilled cow milk. After working off her sentence as an indentured servant, she became working her own land in Maryland. Needing help, she bought an African slave, Bannaky, who—despite the laws and prejudice of the time—would become her husband and the father of her daughters. Although his eventual death was heartbreaking, Molly took comfort in spending time with her grandson, Benjamin Banneker—who would grow into the famed African American astronomer and mathematician. Ages 5-up. MORE MORE MORE SAID THE BABY: 3 LOVE STORIES by Vera B. Williams (Greenwillow, 1990). A darling child of African heritage is adored as his white Grandma’s “Little Pumpkin.” Also features single-race families. Inclusive in tone and content. Ages 2-up. MUSKRAT WILL BE SWIMMING by Cheryl Savageau, illustrated by Robert Hynes, featuring a traditional story retold by Joseph Bruchac (Northland, 1996). When a young Native girl is called “Lake Rat,” she is comforted by Grampa who both reveals how he was once called “Frog” because of his French-Indian heritage. Grampa shows how those intended insults are signs that the bullies don’t appreciate the joy of the frog and wonder of the lake. Ages 5-up. CYN NOTE: Native identity is based on tribal citizenship; however, there is diversity within Native Nations. 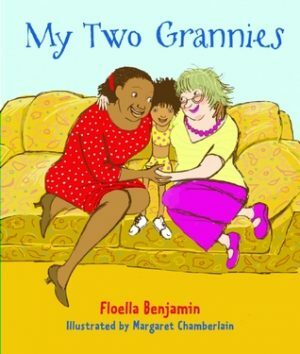 MY TWO GRANNIES by Floella Benjamin, illustrated by Margaret Chamberlain (Frances Lincoln, 2008). Alvina has two grannies who she loves with all her heart. Grannie Vero is from the Caribbean island of Trinidad. Grannie Rose is from the north of England. When Alvina’s parents go away on holiday, both the grannies move in to Alvina’s house to look after her. But the two grannies want to do different things, eat different food, play different games and tell different stories. The grannies get crosser and crosser with each other, but Alvina thinks of a way they can do all the things their own way so the grannies can become the best of friends. Sequel: MY TWO GRANDDADS (2011). Ages 5-8 years. Compiled from promotional materials. OVER THE MOON: AN ADOPTION TALE by Karen Katz (Holt, 1997). A celebration of the good news when a family hears it’s time to pick up its newest member, inspired by the author and her husband’s trip to Central America to adopt their daughter Lena. Ages 4-up. 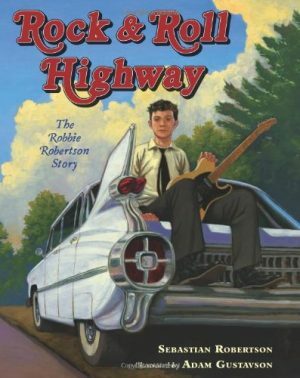 ROCK & ROLL HIGHWAY by Sebastian Robertson, illustrated by Adam Gustavson (Christy Ottaviano/Henry Holt, 2014). Canadian guitarist and songwriter Robbie Robertson is known mainly for his central role in the musical group the Band. But how did he become one of Rolling Stone’s top 100 guitarists of all time? Written by his son, Sebastian, this is the story of a rock-and-roll legend’s journey through music, beginning when he was taught to play guitar at nine years old on a Native reservation. The story of a young person’s passion, drive, and determination to follow his dream. Ages 7-12. More on this title from Cynsations. CYN NOTE: Native identity is based on tribal citizenship; however, there is diversity within Native Nations. Compiled from promotional materials. TWO MRS. GIBSONS by Toyomi Igus, pictures by Daryl Wells (Children’s Book Press, 1997). Delightful celebration of a child’s love for the two Mrs. Gibson’s in her life, her Japanese-American mother and her African American grandmother. Ages 3-up. WE WANTED YOU by Liz Rosenberg, illustrated by Peter Catalanotto (Roaring Brook, 2002). The voice of parents tells young Enrique how they looked for a child, waited for him. The poetic prose and simple text are sincere and affecting. An international adoption theme. Ages 4-up. 70+ Picture Books About Mixed-Race Families from Colours of Us. CYN NOTE: Consider this another place to begin researching books. I’ve not read all of those listed, but I do recognize many of them as excellent choices.